Cryptocurrency is probably the most important technological innovation of the last decade. Bitcoin, the world’s premiere cryptocurrency that is up 1780% this year, has already been announced the financial blockbuster of 2017. As a client of IQ Option, you will trade cryptocurrencies without experiencing the downsides of online exchanges. The latter are neither stable, nor reliable and often create bottlenecks. IQ Option, being a certified broker, offers you the opportunity to open both long and short positions in a fast and secure manner, store assets using cold storage, all while enjoying the user-friendly interface. In order to buy or sell cryptocurrencies, pick the coin of your choice from the list of available crypto assets. Other platforms often make cryptocurrency trading overcomplicated, which is obviously not the case for IQ Option. After choosing the asset all you have to do is enter the desired amount of money and set up stop loss/take profit orders (in case you favor autonomous trading). Take advantage of several technical analysis indicators and graphical tools. Both advanced and novice traders will find them useful when making their investment decisions. Choose what cryptocurrency you want to buy/sell by clicking the “Open new asset” button (the “+” at the top of the screen) in your trade room. Choose the dollar value of cryptocurrency you want to buy/sell from the “Amount” window on the right of the screen. Optional: you can also set a stop loss/take profit order in order to automate your trading activities. In this case, when the price action reaches a certain level, your trade will close automatically. 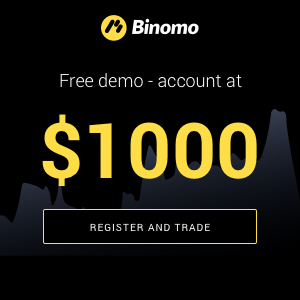 Or you can simply monitor the asset price in real-time and close your trades manually. IQ Option is offering a wide range of cryptocurrencies to choose from, including bitcoin, Bitcoin Cash, Ethereum, Dash and Ripple. Additional cryptos can be expected to make their way to the platform in the foreseeable future. Note that you can replenish your account using not only fiat currencies but also bitcoin. Read this article for additional information. You will then reach a page where you can select how to withdraw your funds, including credit card, debit card and wire transfer to your account. For additional information on funds withdrawal, kindly consult this article. The Open Trading Network is a revoilutionary project, destined to unite isolated blockchains and create a universal cryptocurrency ecosystem. The OTN Foundation is partnering with IQ Option for the purposes of information support and distribution of the OTN tokens. All IQ Option traders will automatically get OTN tokens for trading cryptocurrencies on the platform. The amount of tokens received is proportionate to your trading volume. The tokens can then be used to pay broker commission (thus making your deals more profitable) or sold via one of the partner exchanges. You need to have a Bitcoin wallet set up first. You can open one on Blockchain, CoinBase or Jaxx for example. Once your withdrawal has been approved, you will receive the Bitcoin position you held directly in your wallet, according to the Bitcoin exchange rate at the time of the order placement. For any questions on trading cryptocurrencies, OTN tokens and Bitcoin withdrawal please contact our support team at support@iqoption.com. You can also reach us by phone 24/7. 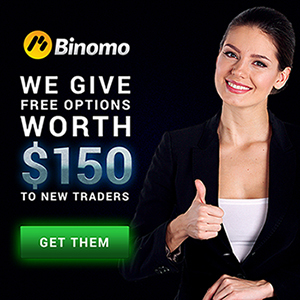 We look forward to helping you get the most out of IQ Option!